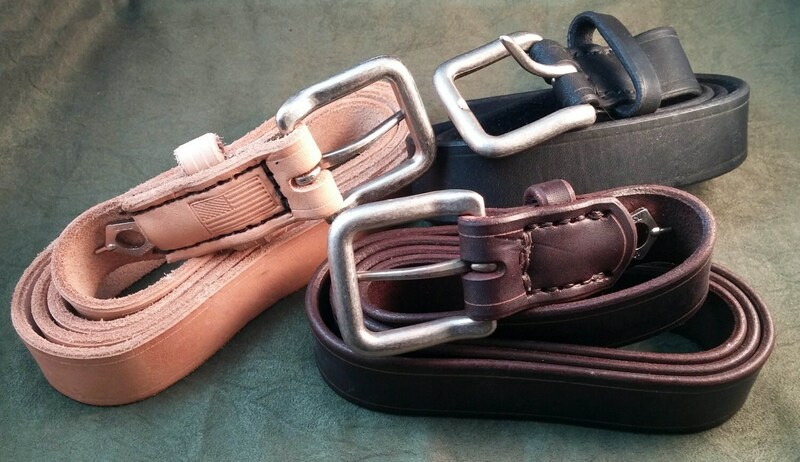 These belts are made of a single 1 1/4" wide strip of 8-10 ounce latigo cowhide. 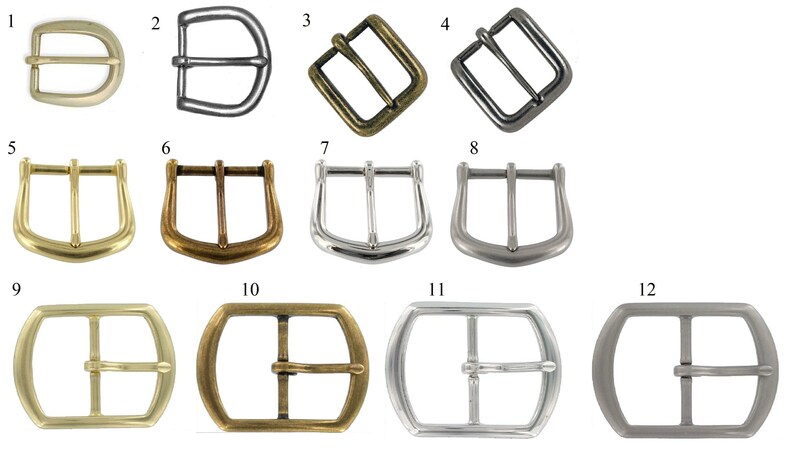 and feature your choice of one of 12 buckles. Each belt includes a hidden handcuff key near the buckle, because you never know.. 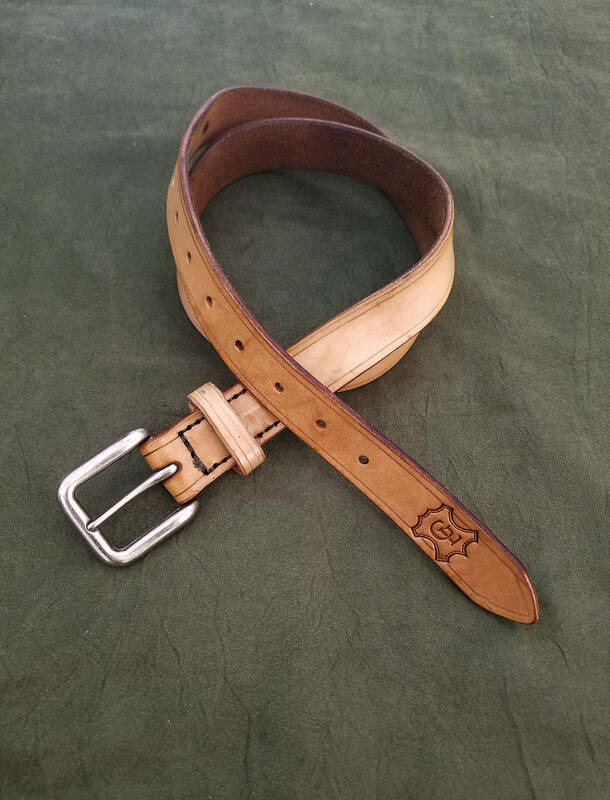 If you choose the "natural" color option, the belt will be made out of 8-10 ounce Veg-tan cowhide and the edges will be burnished with beeswax. 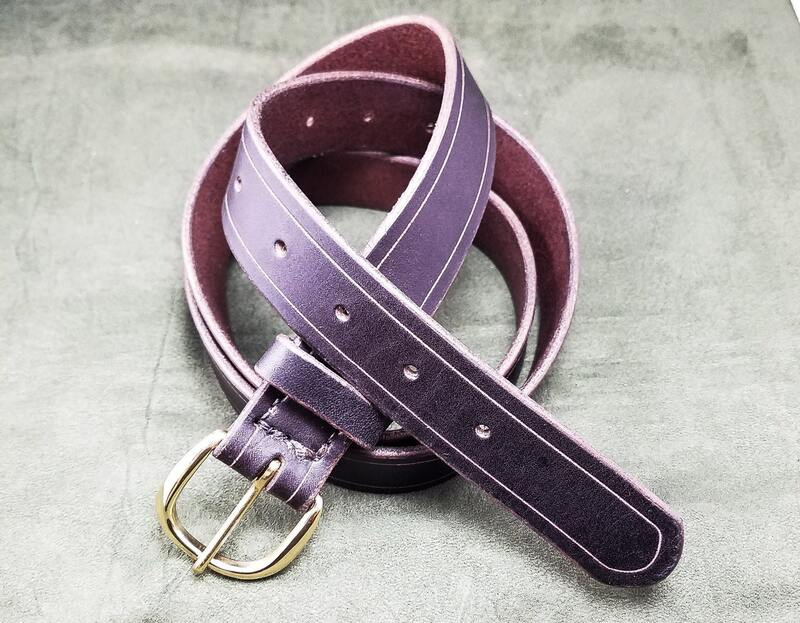 The natural colored belts will darken over time and take on a light brown tone, unique to each belt. Stitched construction is standard, but as shown, riveted construction is also available. I've also been known to use Chicago screws or snaps so that you could swap out buckles. There's no extra charge for these other options, so let me know when ordering what you would like. If you don't specify, The belt will be stitched together. As always if there is any customization you would like for yours, feel free to message me. Initial impression: Received the belt a few days ago. 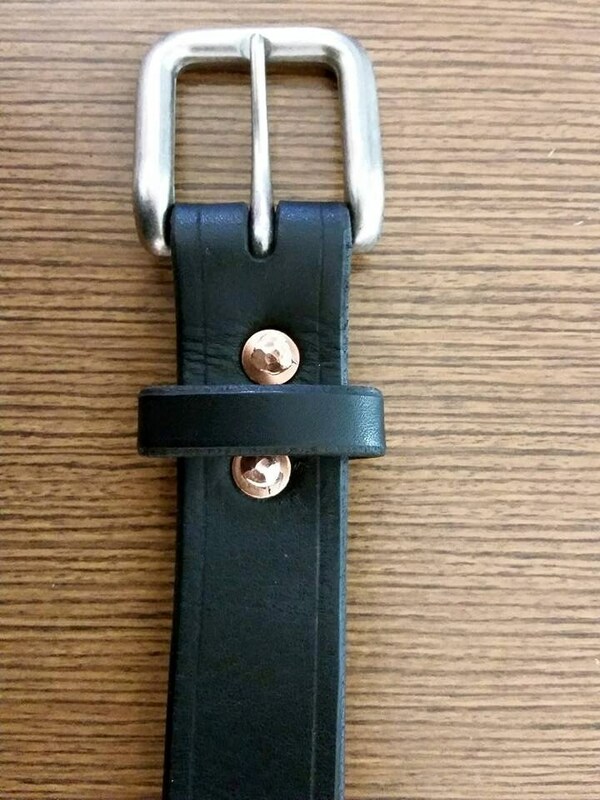 The quality of the materials used is fantastic, the stitching appears strong and the belt is made out of a single piece of leather, except obviously the hoop. It's quite sturdy and well built. 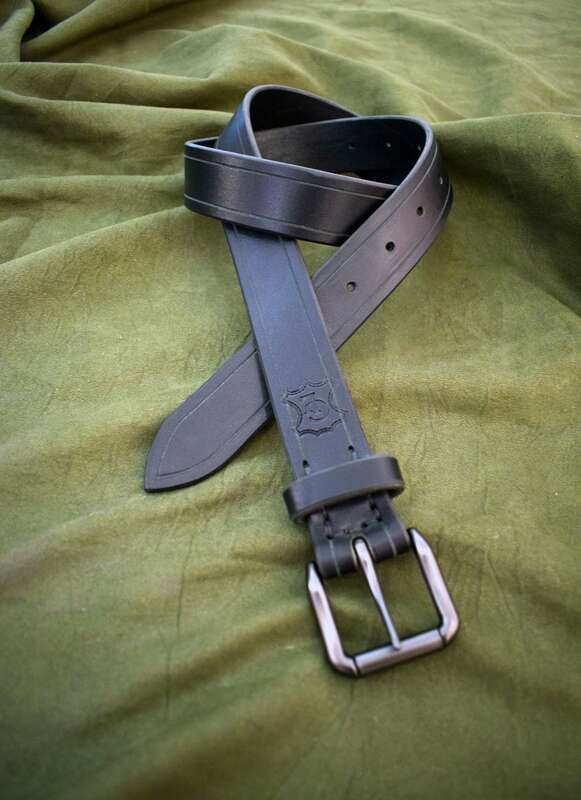 There's no flashy to this belt, and it isn't going to win any rewards for attention seekers, but it's exactly what I was looking for: A sturdy belt that will last decades with proper care. Very good quality for the price. I'll be adding to this with future experiences.